The 2009 RX will be offered in two versions, a five-passenger model similar to the current model, and a new seven-passenger long wheelbase model. A six-speed transmission will be standard. 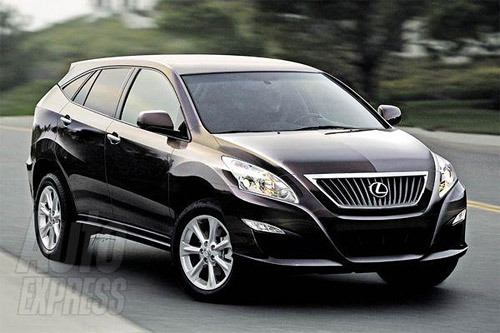 The RX 350’s engine will be boosted to bring it somewhere around 300hp for the 2009 model. The interior of the 2009 RX will be all new, including a 9″ LCD display that will be navigated by a touchpad located between the front seats. There will be an RX-F, with 380hp and available only in the five-passenger version. It all seems very plausible, with the exception of the last point. A RX-F is hardly out of the question, but it’s not a model I see appealing to the enthusiast crowd, who will no doubt make up the majority of F-Series buyers. Of course, stranger things have been known to happen. Fabin also claims that a GS-F is on the way, and that Lexus will be releasing nine new vehicles in the very new future. Interesting news, to say the least, though how accurate it is remains to be seen. Given his credentials, though, I’m willing to give him the benefit of the doubt until proven otherwise.